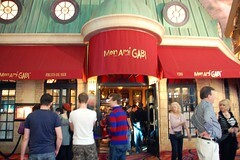 During a rare weekend sans comped meals, we revisited an old favorite of ours, Mon Ami Gabi at the Paris hotel. I've loved this place for a long time for its satisfying food and reasonable prices. 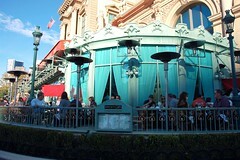 Most people clamor for an outside seat right above the busy Las Vegas Boulevard sidewalk. 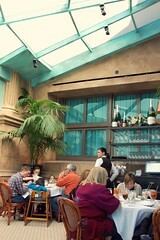 I prefer the glass-enclosed patio for filtered sunlight and a little less din. 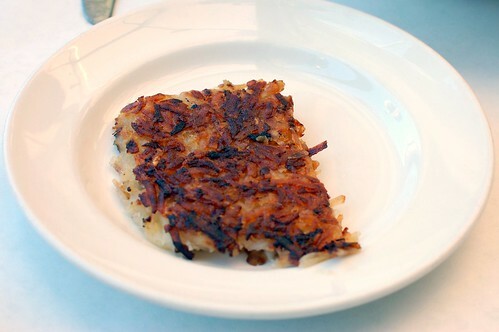 Weekend brunch is my favorite meal here because you may order from the breakfast, brunch, and/or lunch menu. 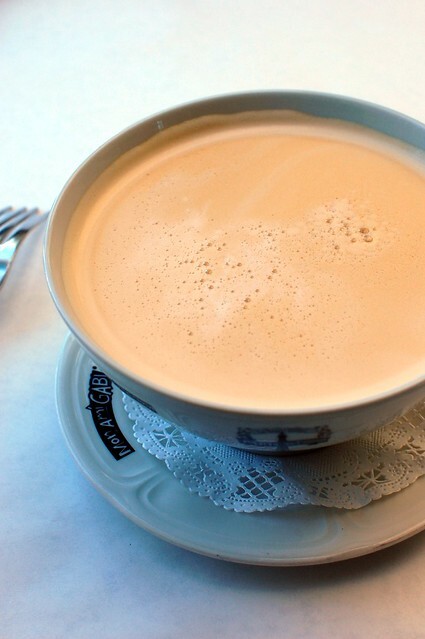 Bowl of cafe au lait ($4.75). 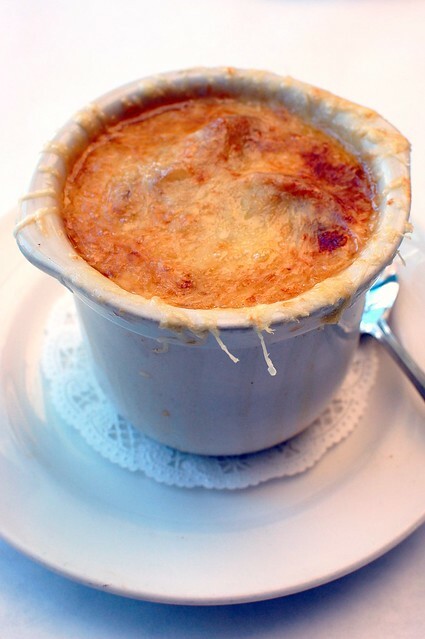 Onion soup au gratin baked with Gruyere cheese ($8.95). 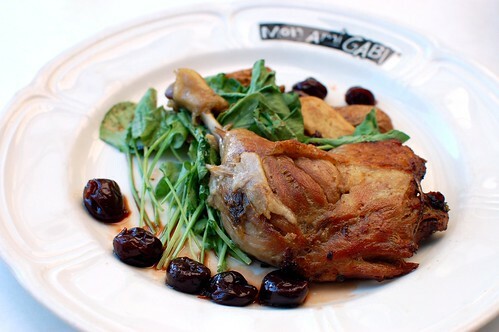 Duck confit and fingerling potato, balsamic cherries, watercress ($11.95). 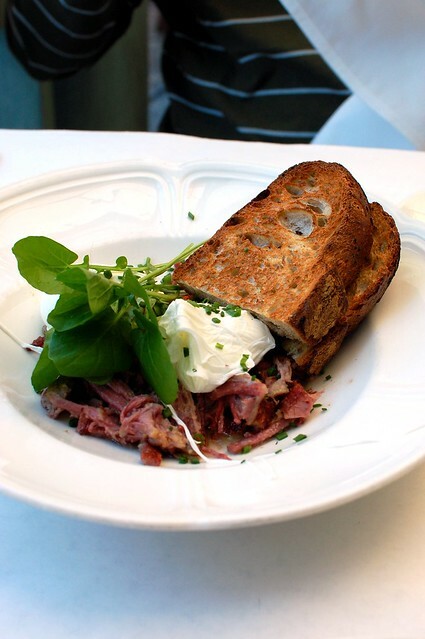 Corned beef hash and poached eggs, roasted red pepper ($10.95). 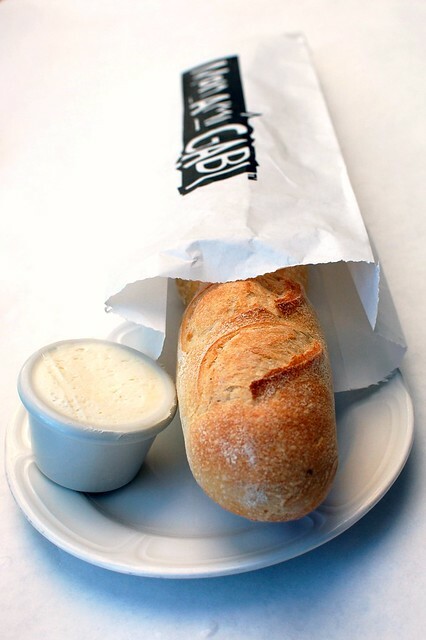 Croque monsieur -- ham, Gruyere, crème fraîche ($11.95). 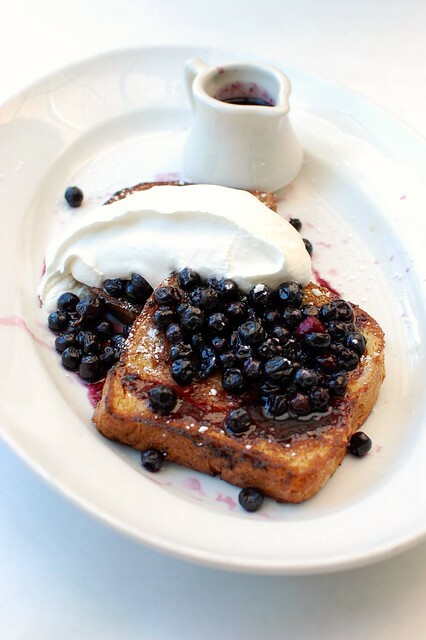 French toast, blueberries, warm maple syrup, whipped cream ($10.95). 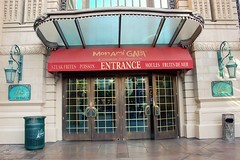 Mon Ami Gabi is tasty French for the everyman. I'm confident that even the pickiest people would enjoy themselves here. I've always wondered about this place. Looks like it's definitely worth a stop! That's a generous portion of whipped cream on the French toast! 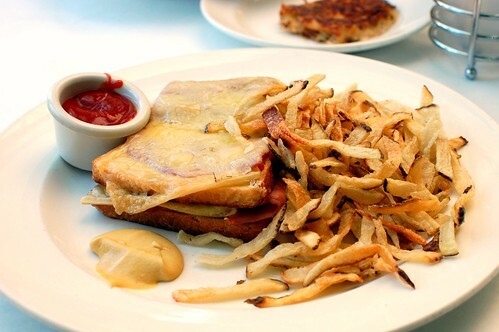 That croque monsieur looks so good! One of my favorites as well! I do like sitting outside when it's hot because they have the misters running. Otherwise I prefer the inside. 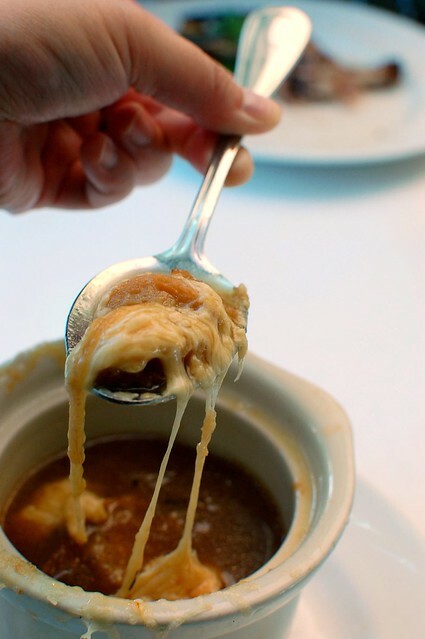 I don't understand the bowl of coffee at French bistros. 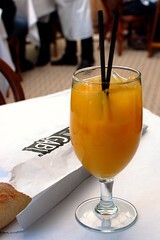 I came across that at Balthazar in SoHo. So awkward. I LOVE this place! I always try and have brunch there when I'm in Vegas. I always eat here too! Your corned beef looks a lot better than mine did last time ... the eggs were in their own bowl of water when I had them. Weird. Damn those are some reasonable prices! fine. maybe i'll give it another try next time we're in vegas. 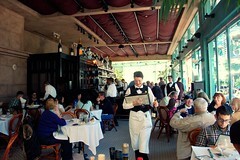 it's been a long time, but i do remember enjoying a meal here at least once. haha, my word verification: "lying."